Joe Echevarria, CEO of New York-based Deloitte LLP (FY13 net revenue of $13.9 billion), will retire later this month to pursue his interest in public service, the firm announced Friday. 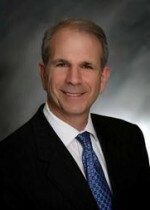 Frank Friedman, Deloitte’s CFO, was named CEO. The Big 4 firm’s board of directors named Friedman to the top job until the completion of Deloitte’s formal leadership election, which is held every four years and is currently under way, according to the Wall Street Journal. 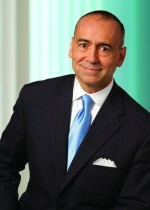 Echevarria was elected in 2011 to a four-year term as Deloitte’s CEO. A four-year term is standard for CEOs of the major accounting firms, but he decided not to stand for another term and will be leaving about nine months before his current term ends, the newspaper reported. In a statement issued by Deloitte, Echevarria says he has “determined that this is the right time in my life to pursue my passion for public service.” In the past, he has participated in groups like Fix the Debt and the Business Roundtable. He didn’t mention any specific future plans Friday other than continuing as co-chair of My Brother’s Keeper, a White House initiative to assist minority boys and young men. Echevarria has been at Deloitte since 1978. He served as the firm’s U.S. MP and COO before serving as CEO. “Joe has overseen a period of robust growth, helping to establish key client relationships and development opportunities for our people, and we are thankful for his years of service,” says Punit Renjen, Deloitte’s chairman, in a statement.